Why would I need self storage in Deerfield Beach, FL? There are a variety of reasons why you might need self-storage in Deerfield Beach, FL. How much is a storage unit in Deerfield Beach, FL? The cheapest storage unit in Deerfield Beach, FL is $32.00 per month. What size storage units do you have available in Deerfield Beach, FL? In Deerfield Beach, FL we have sizes that range from 5'x4' to 12'x30' to suit your storage needs. How much is it for a 5'x4' storage unit in Deerfield Beach, FL? The cheapest 5'x4' storage unit in Deerfield Beach, FL is $43.00 per month. Deerfield Beach is a mid-size coastal city in southeastern Florida, considered a principal city of the Miami metropolitan area. Sitting between Miami and Palm Beach, you'll have all the conveniences of large South Florida cities, while enjoying a relatively small-town lifestyle away from the hustle and bustle. Deerfield Beach was named for the large communities of deer that could once be found roaming the area. Originally, the city was simply called Deerfield, but locals elected to change it in order to attract tourists with the promise of a beautiful, sandy beach. Deerfield Beach began as a swampy tropical outpost in 1877; and when its first post office opened in 1898, it served a tiny population of just 20 residents. However, the city soon blossomed into a thriving town thanks to the railroad brought in by Henry Flagler. Once the Florida East Coast Railroad connected the area to Miami, the area truly began to flourish. For much of the early 20th century, the community was an agricultural town, home to a small but steadily growing population of farmers. The coastal soil supported healthy crops of pineapple, green beans, squash and tomatoes, while fishermen found success in the city's ocean waters. When the name was changed from Deerfield to Deerfield Beach in 1939, locals were determined to develop a healthy tourism industry. Today, the city is a small but popular tourist destination with an increasingly diverse economy. Although Deerfield Beach is not as large a city as some of its neighbors, it nevertheless provides locals with plenty of things to see and do. The city hosts the Women's Professional Volleyball Association Tour and the Superboat Power Race each year, drawing large crowds of sports fans. In addition, you can enjoy special events throughout the year, from the Festival of Arts in January to the Summer Music Festival in June. Living in Deerfield Beach lets you have the relaxing coastal life so many crave with plenty of opportunities for fun in the sun. You can enjoy the beach and the green spaces in and around the city or take in the scenic views on the Deerfield Beach Pier. Sportfishing, scuba diving, parasailing and paddle boarding are just a few of the other popular outdoor activities that Deerfield Beach has to offer. Deerfield Beach schools are part of the Broward County School District. There are also several highly-rated private schools in the city. Utilities: The Deerfield Beach utilities department and Florida Power & Light (FPL) are the major utilities providers in the area. Garbage and Recycling: Your trash and recyclables will be collected two times a week. Transportation: The Tri-Rail and city bus systems provide a number of options for getting around the city without a car. Although home prices in Deerfield Beach have risen significantly in recent years, it still remains an extremely affordable option for beachfront living. The median home price is far lower than the Miami-Fort Lauderdale metro averages, and even slightly lower than the national average. Our lowest priced units in Deerfield Beach, FL average $41.50 per month. 617 people have reserved units in Deerfield Beach, FL in the past 30 days. 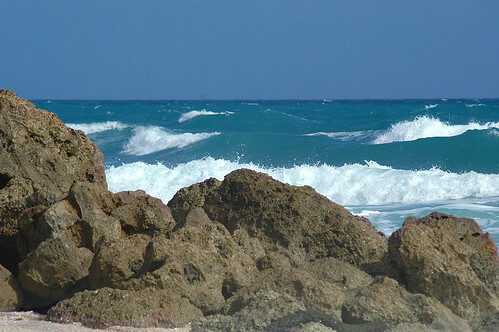 There are 8 locations within Deerfield Beach, FL's city limits. There are 8 locations in Deerfield Beach, FL that offer AC and Heating features.